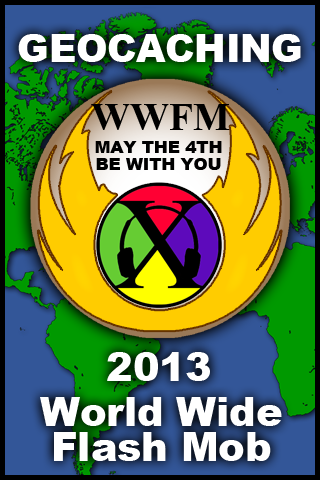 Saturday 4 May 2013 was the tenth World Wide Flash Mob . 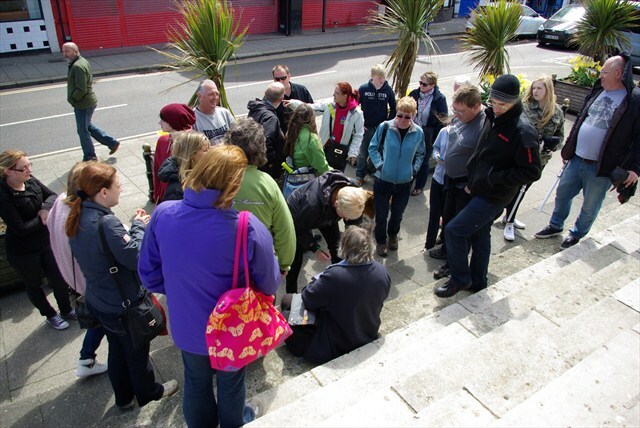 A fifteen minute event that saw more than 15,000 geocachers across the globe over 350 events for fun, geocaching and activities most of which with a dedicated theme. And Kent took part this year with, of course, a Star Wars theme. 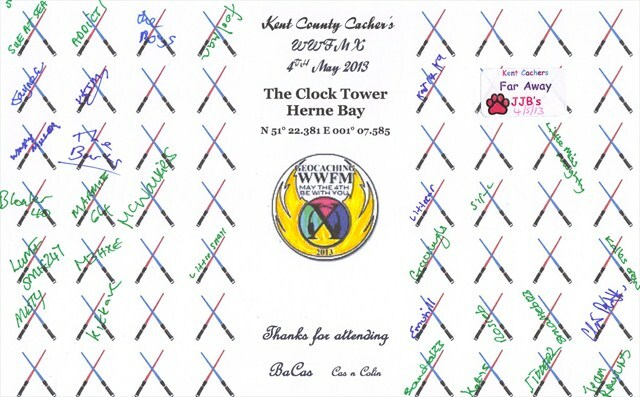 With thanks to Bacas we saw cachers travelling across the county (geocaching their way across the county) to meet at Herne Bay Clock Tower for 2pm. Smif247 and I were no exception. 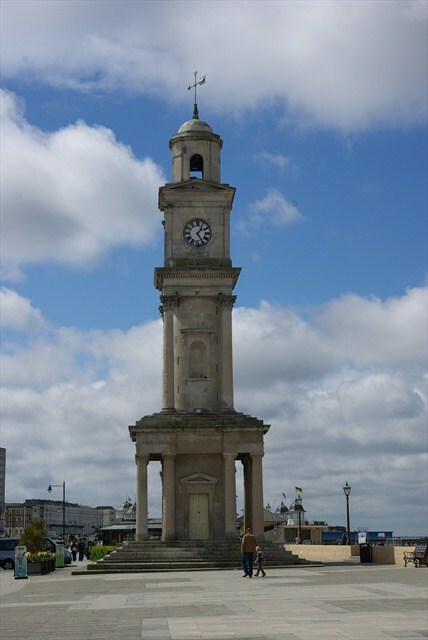 We left Medway early enough to grab a few select geocaches on route before arriving at the specified time with Misty (our geo-puppy). 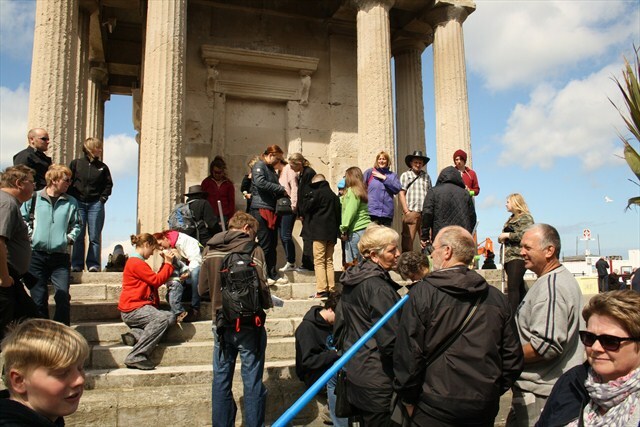 It was such a buzz when, at the strike of the chimes, a large mass of geocaching teams all pooled round the front of the clock tower waiting in line to sign the logbook, milling around catching up with old friends and new acquaintances. Introducing all the geo-hounds to each other and discussing tricky hides and the promise of new releases. 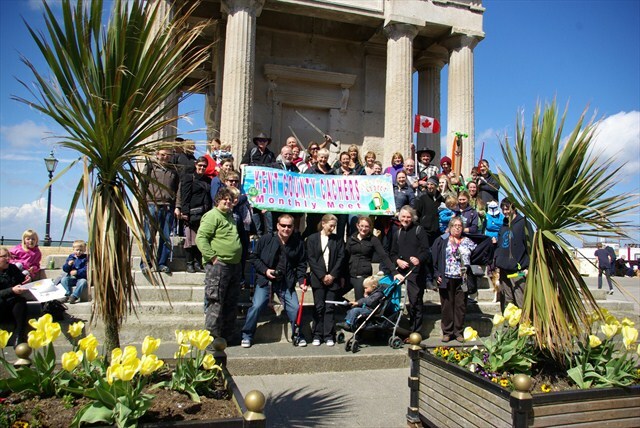 By 2:15pm we were all grouped up on the steps for the all important Kent County Cachers photo shoot. 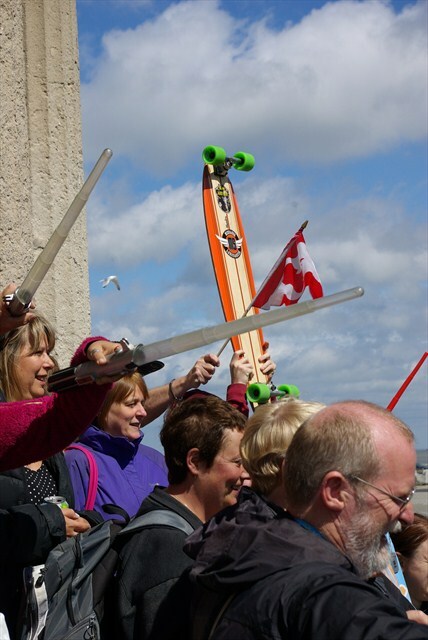 I have no idea what the locals and day trippers thought when we all produced light sabres from our pockets (or where ever they were hidden)! 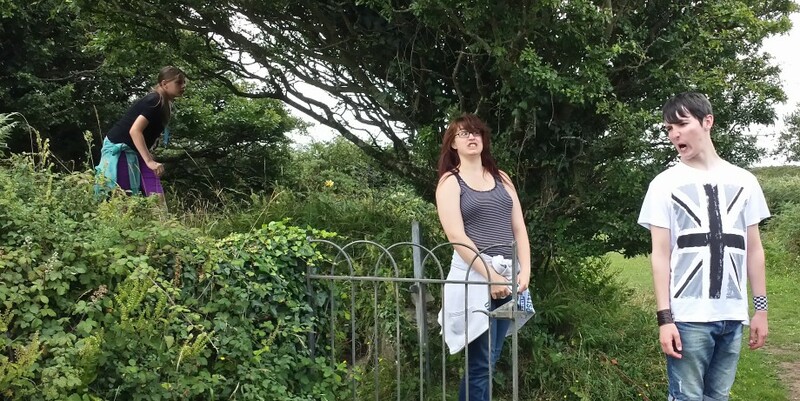 The photo shoot was quickly followed by the pinging sound of mobile phone notifications as a new series of Star Wars themed geocaches (traditionals & puzzles) went live, thank you to little miss naughty for the time and effort you put in. All the hides had vouchers for free coffee at the nearby Mackari’s coffee shop as a “First to Find” prize. A great incentive to carry on the meet after the alloted time. I must say Kent Cachers are a very sociable bunch and never pass up the opportunity of catching up in a pub or coffee shop.